Mildred Hayes (Frances McDormand) is a woman on a mission. Written and directed by Martin McDonagh. 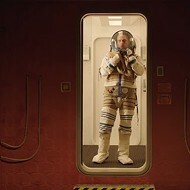 Starring Frances McDormand, Sam Rockwell, Woody Harrelson and Caleb Landry Jones. Opens Wednesday, November 22, at multiple theaters. You can search every inch of the map looking for Ebbing, Missouri, but you'd be wasting your time. Martin McDonagh's new film isn't really about the Midwest in general or Missouri in particular (and from the smorgasbord of accents on display, it's unlikely that he's ever even been in the state). 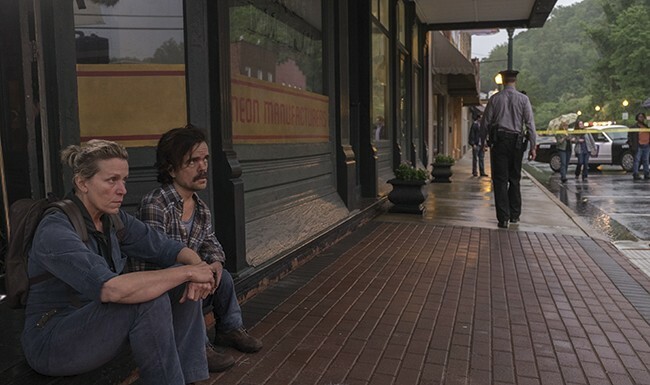 The setting is instead a purely imaginary small town, a cozy American heartland of bumbling deputies and eccentric townsfolk on which McDonagh can hang his Coen Brothers-in-Mayberry conceit. 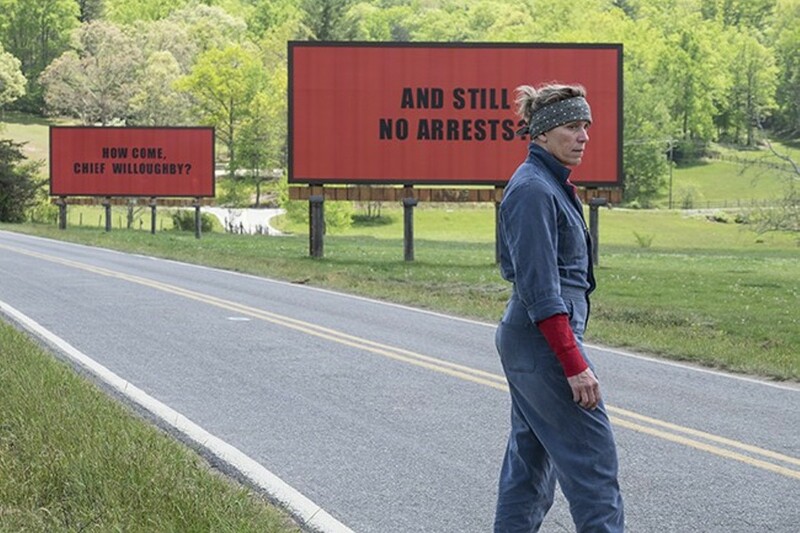 Three Billboards Outside Ebbing, Missouri begins with Mildred Hayes (Frances McDormand) buying advertising space on an isolated road. Mildred's teenaged daughter was viciously raped and murdered seven months earlier, and her billboards ask why no one has been arrested. She even calls out the local sheriff by name. Now, she could have just walked to the sheriff's office to discuss this — it's right across the street from the ad agency — but then we wouldn't have a title, would we? Instead, the billboards are immediately (and for no clear reason) met with hostility by the entire community, not least by Sheriff Willoughby (Woody Harrelson) and the brutish Officer Dixon (Sam Rockwell). Violence ensues, along with two acts of arson and a suicide. If you're looking for a message about grief or retribution or morality here, you're better off looking for Ebbing on that map. Writer-director McDonagh specializes in fast, foul-mouthed dialogue and sudden, irrational moments of mayhem, and he piles them on rapidly with no concern for how they add up. Every line has been fine-tuned for maximum provocation, usually hammered in with sitcom repetition. There are broad strokes of character here — the sheriff has pancreatic cancer, Dixon is a half-witted mama's boy — but they're really just set-ups for recurring punchlines. When Peter Dinklage shows up briefly, McDonagh seems to think his very presence is a joke; nearly every line in his four scenes contains crass allusions to his size. Even the worst and broadest attributes are dismissed with a smirk: We're told that Dixon is a racist with a history of torturing prisoners, a detail repeated so often that eventually it's regarded as little more than an eccentricity. Director/write McDonagh treats Peter Dinklage's very presence as a joke. As a playwright, McDonagh has a reputation for sharp dialogue and imaginative plots, but Three Billboards feels lazy, even self-indulgent. There's no sense of Mildred's grief, no consequences for any of the film's increasingly cartoonish acts of violence. 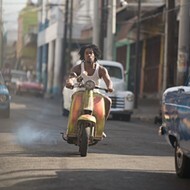 As a crime film, it teases a coherent plot but quickly withdraws from it. 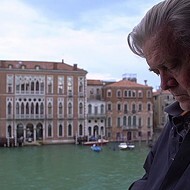 As a character study, it's almost deliberately superficial, half-heartedly tossing in a few cliches about redemption but dropping them just as carelessly. Mostly, Three Billboards is just casually, absurdly violent. It's like a Three Stooges film, one in which after every eye-gouge or head-pounding you see bruises on Larry's face or blood oozing from Curly's head. People are beaten and thrown through windows. Mildred kicks a young girl in the crotch. When one character nearly burns to death, the film treats it with ridicule, like nearly everything else, yet when Mildred's billboards suffer a similar fate, it's one of the few scenes given anything close to sympathy. It's as if McDonagh has turned Mel Brooks' famous maxim — "Tragedy is when I cut my finger. Comedy is when you fall into an open sewer and die" — into his sole principle. OK, Three Billboards is just another stupid, brutal film that generates nervous laughter by depicting debased and savage behavior. What's the big deal? Just as it's hard to look at the news these days without thinking that civilization is going through a rough patch, a quick overview of recent films suggests that gleeful callousness and unthinking cruelty are the two faces of our post-Tarantino cinematic zeitgeist. In the last few months, we've seen violence of every kind treated with rock-star swagger in Baby Driver, with icy, comic-book stylization in Atomic Blonde and with hipster irony in Good Time. In that company, Three Billboards isn't even the worst offender; it merely eliminates real emotions such as grief or empathy and replaces them with knee-jerk sarcasm.